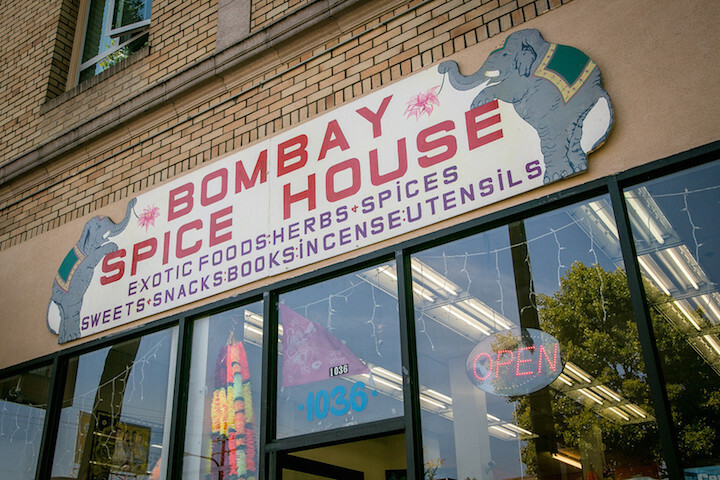 I was at first going to name this post “Little Bombay,” but that would lead into the geopolitical/linguistic morass of Mumbai vs. Bombay. 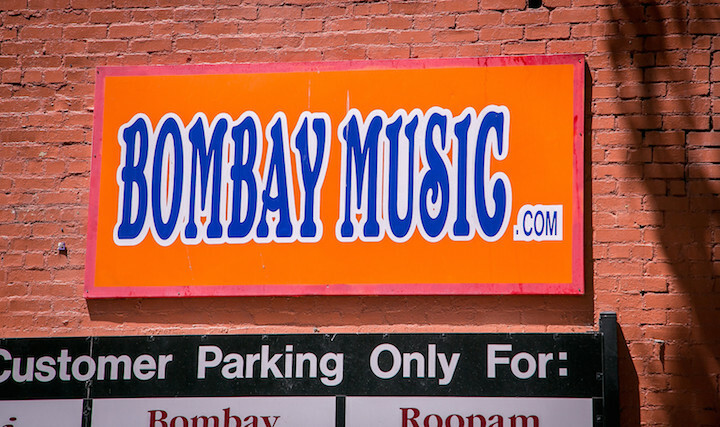 Yes, I understand, “Bombay” is an English corruption of a Portuguese colonial name for the city. 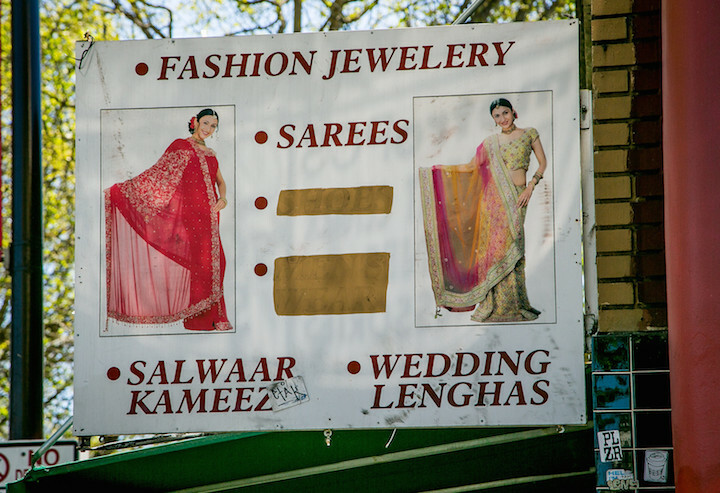 I am all for rejecting the language of the colonial power, but I am not convinced that Shiv Sena, the political party that drove the name change in 1995, is admirable. 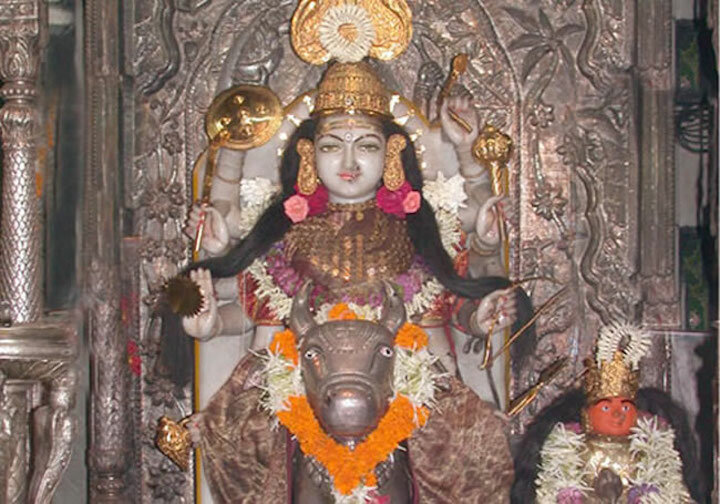 More importantly, I am not prepared to read enough about Shiv Sena and Hindu nationalist politics to pass judgment, even if as an outsider I were entitled to pass judgment. 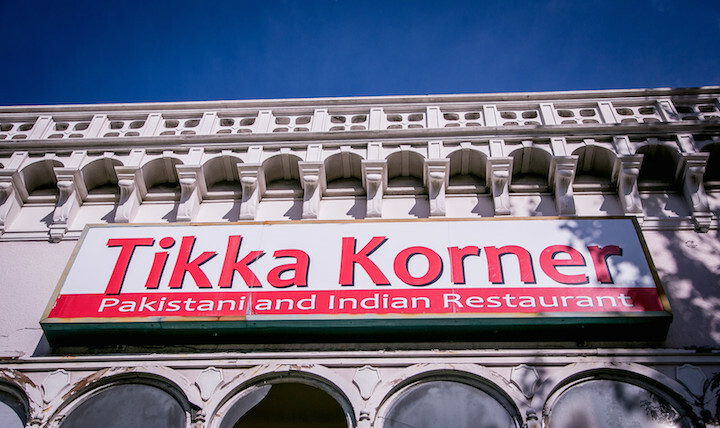 So let’s just stick with Little India. 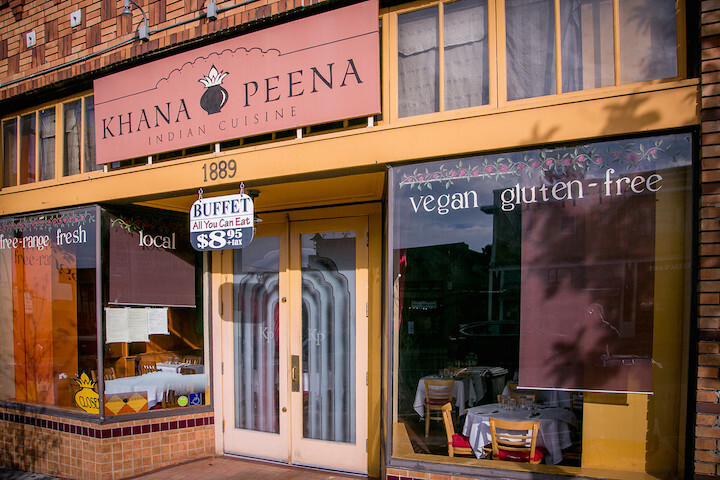 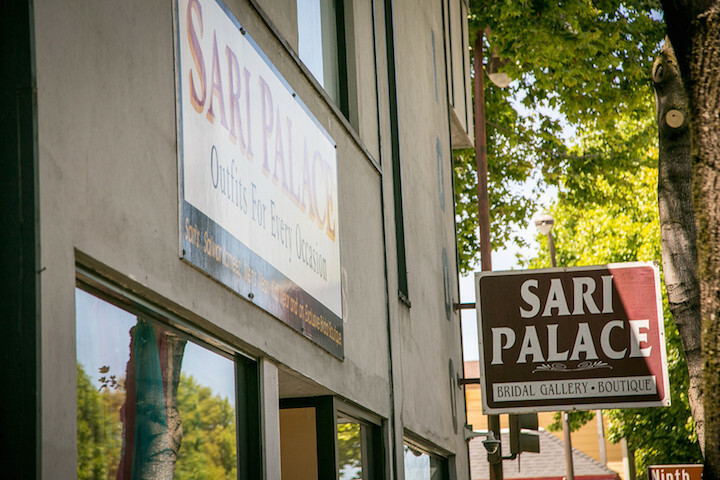 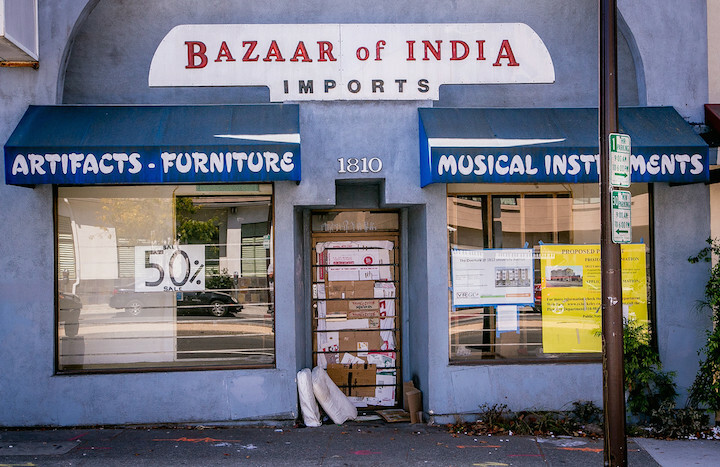 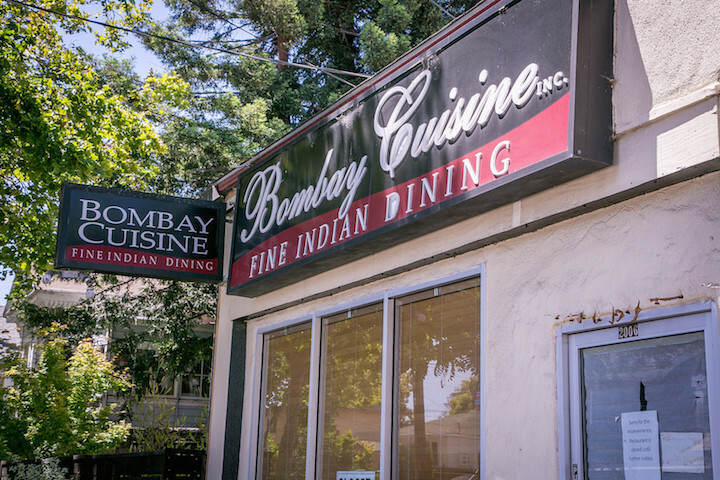 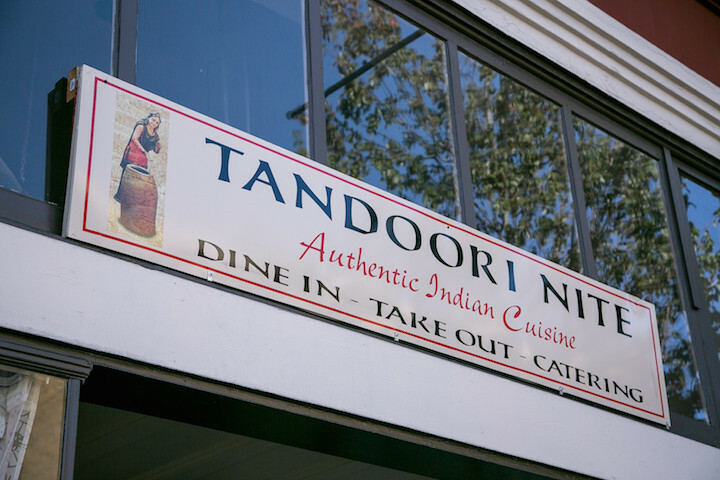 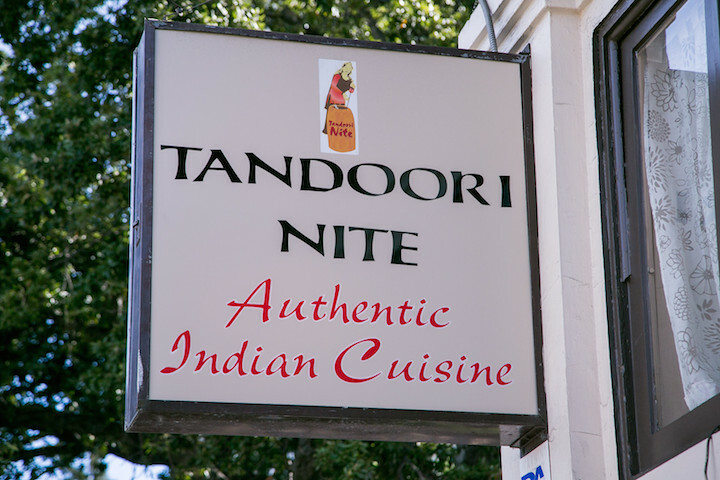 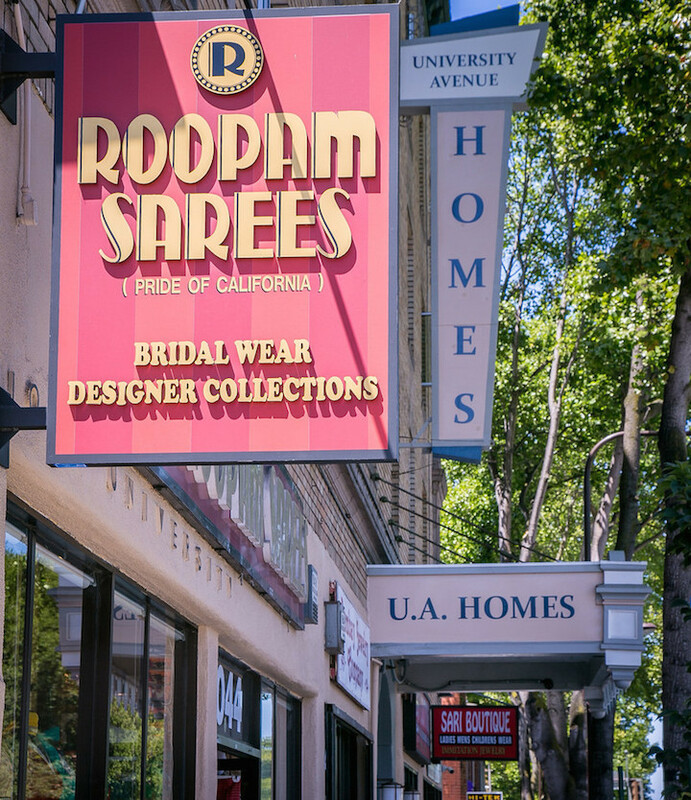 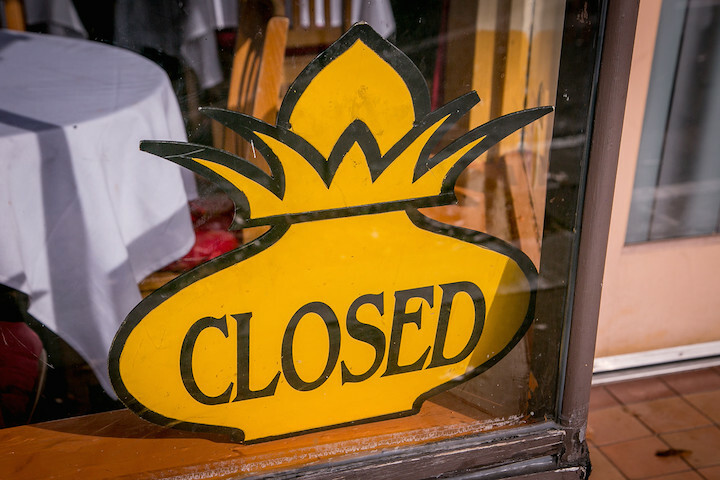 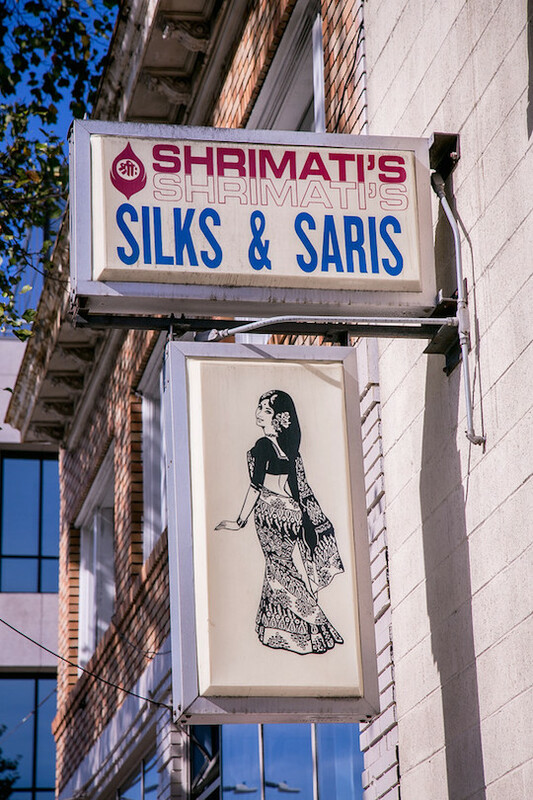 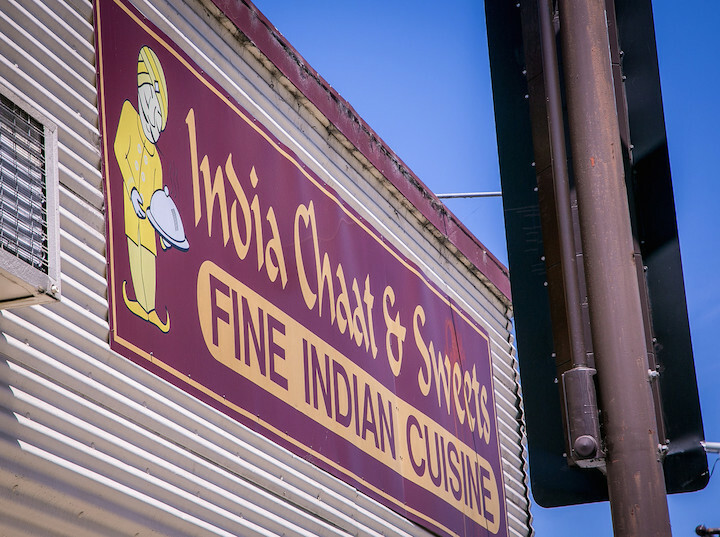 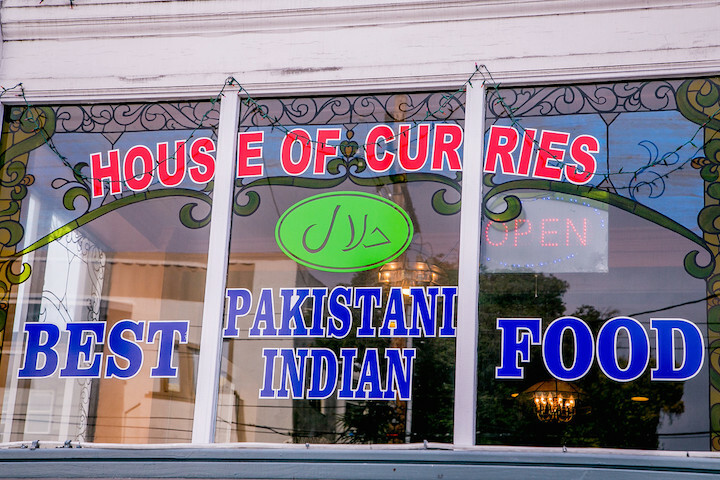 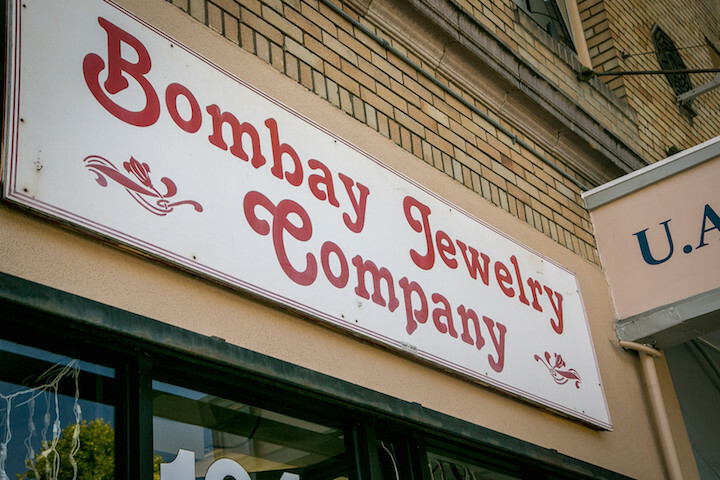 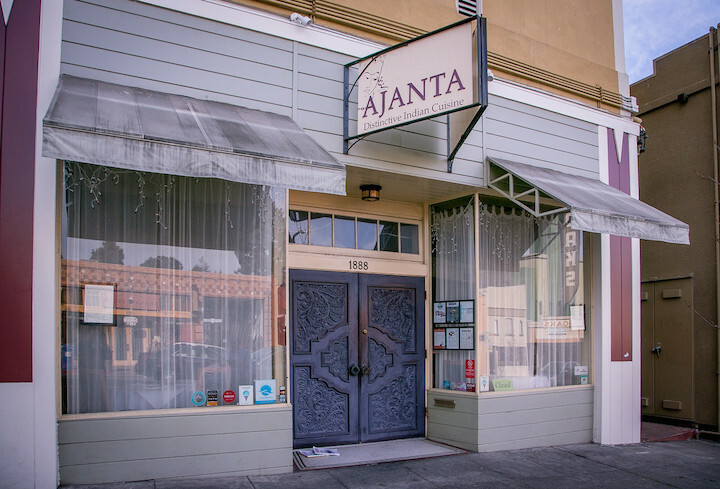 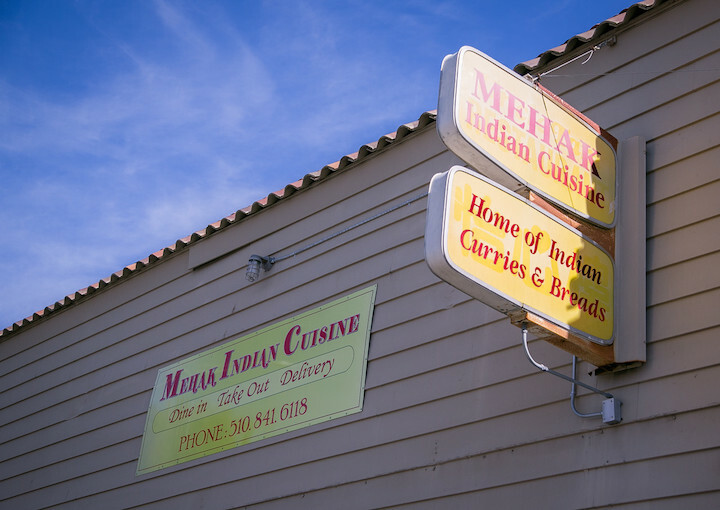 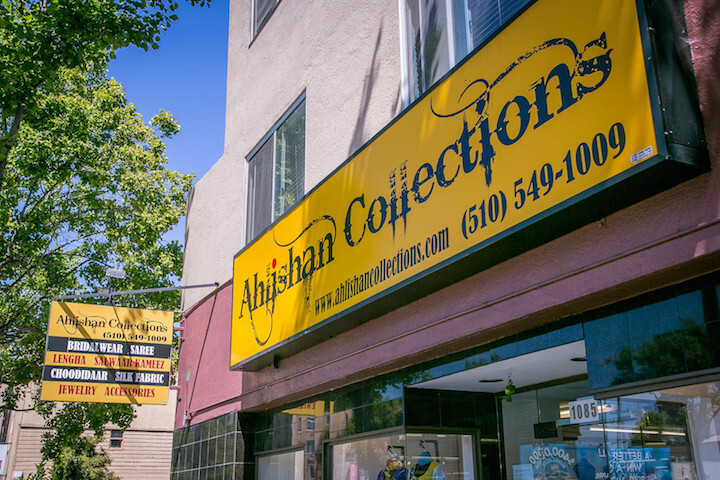 Berkeley has long been fertile ground for Indian businesses. 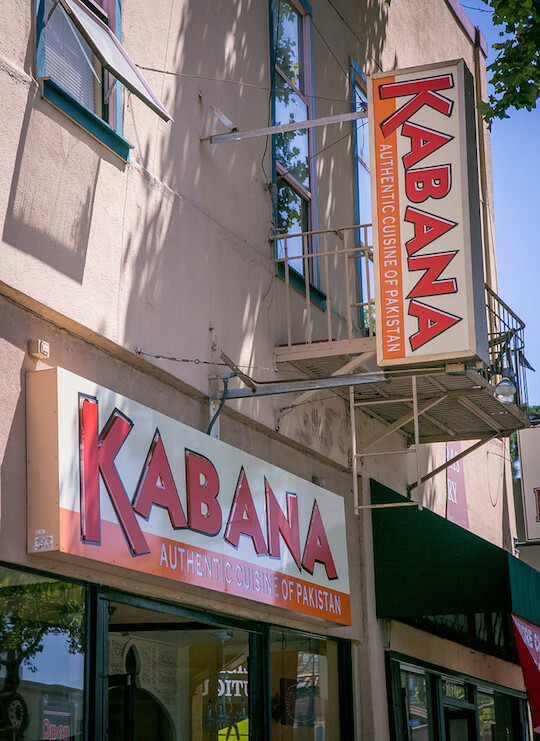 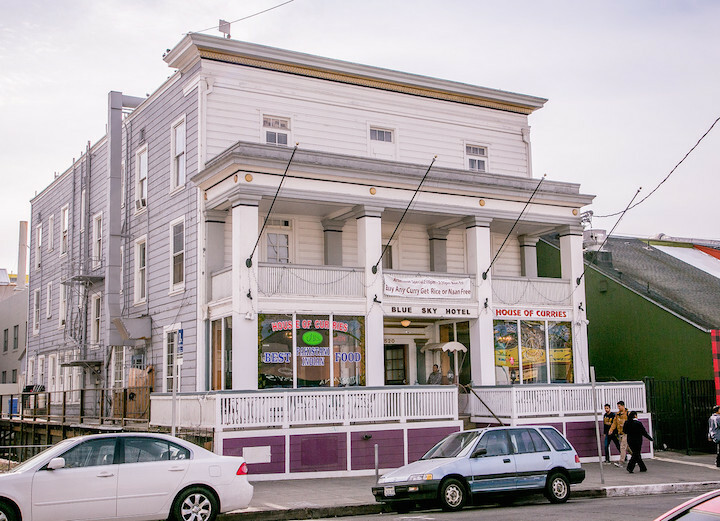 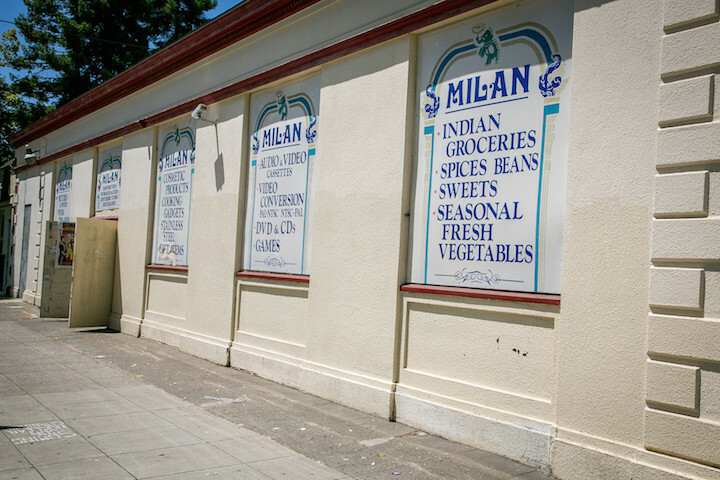 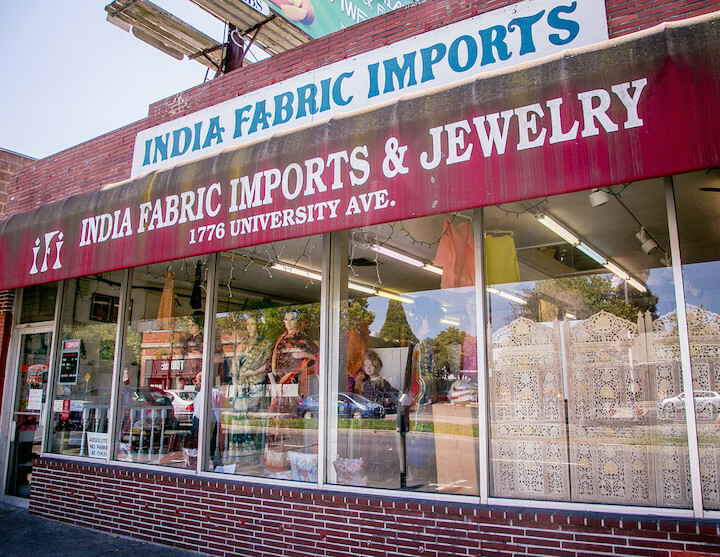 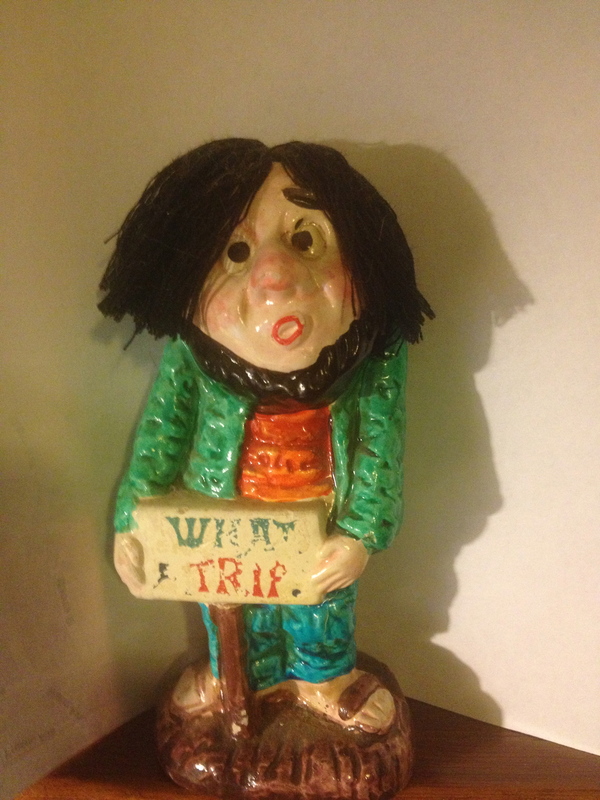 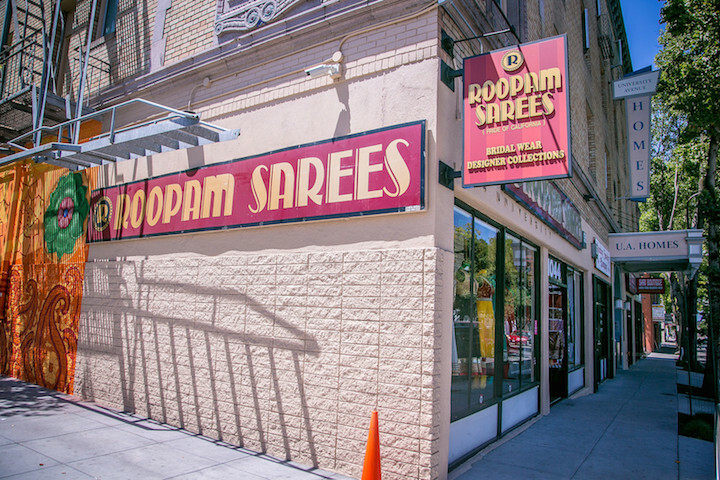 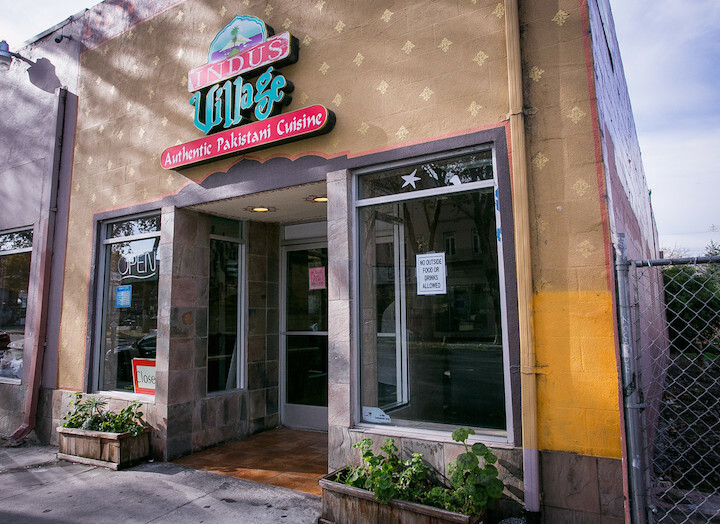 In the late 1970s, there were perhaps ten Indian shops in Berkeley, predominantly along western University Avenue. 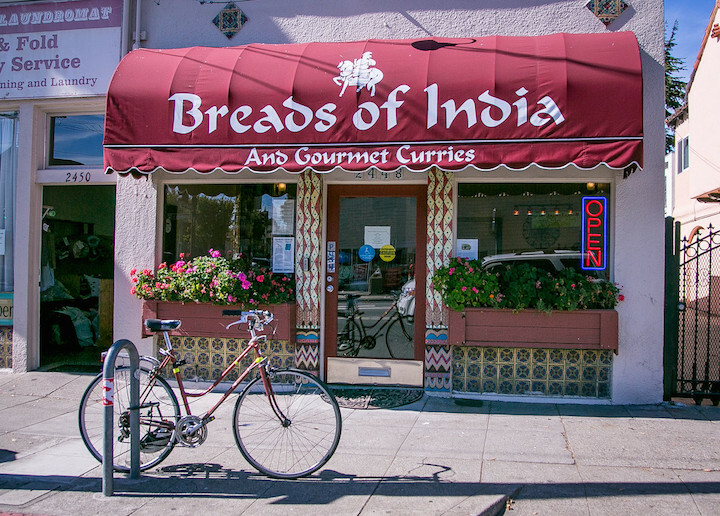 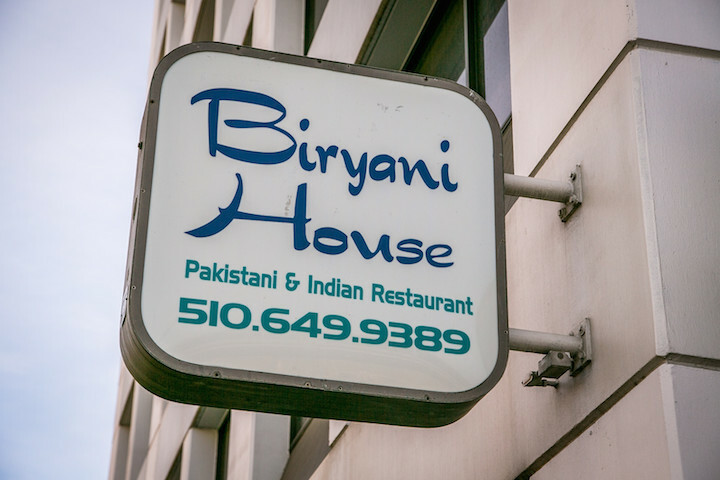 Even so, Berkeley provided the strongest connection to India in the Bay Area. 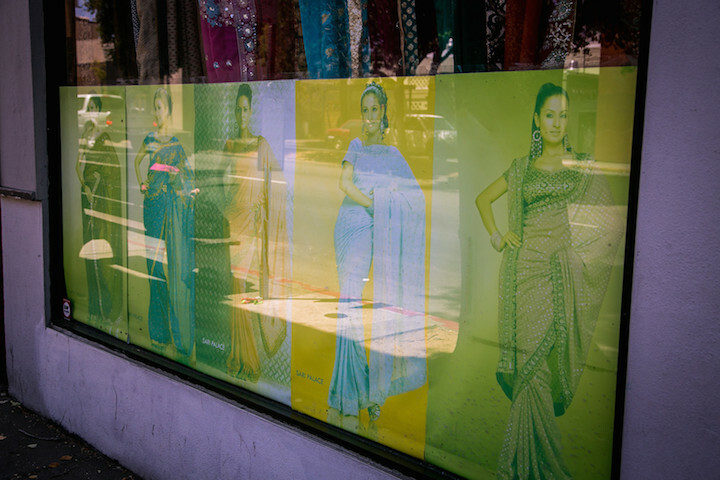 The number of Indian businesses peaked during the Dot-Com (or is it .com?) 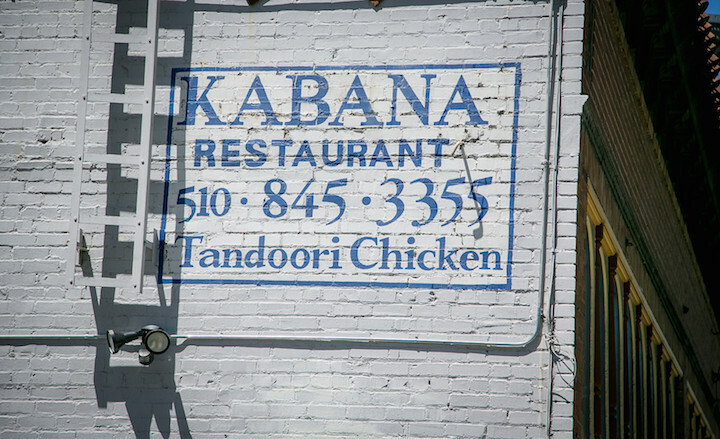 boom, but the tide has not gone all the way out. 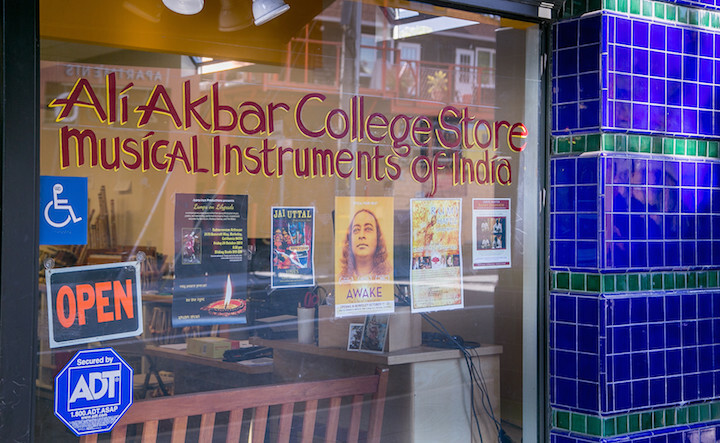 The Indian grocery, spice, music, movie, and clothing stores all lend to the mix that is Berkeley, reverberating among our images of exotic India. 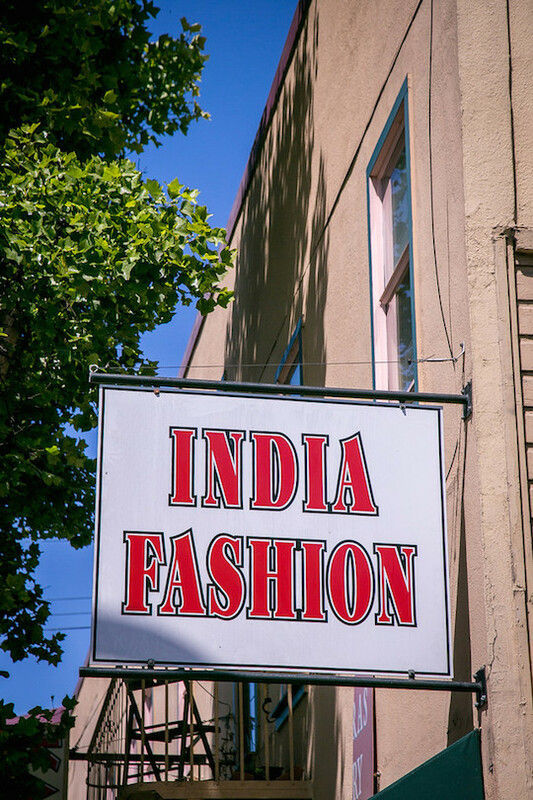 So here are the signs of Indian (and a few Pakistani and Afghani) businesses as they existed in 2014, cultural markers of a cultural presence. 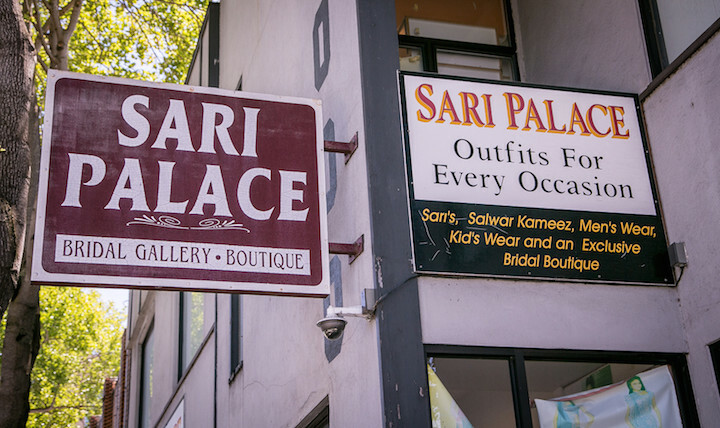 Having avoided linguistic conflict over Bombay vs. Mumbai, I am not about to step into the spelling debate of “sari” vs. “saree.” Have at it if you want. 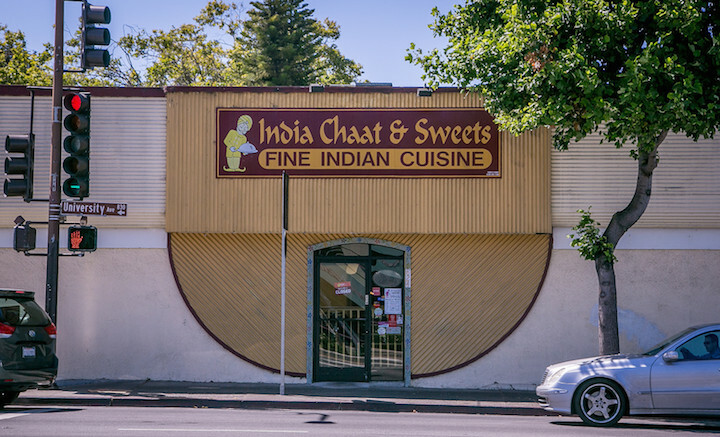 I’ll pass. This last one makes me think of V.S. 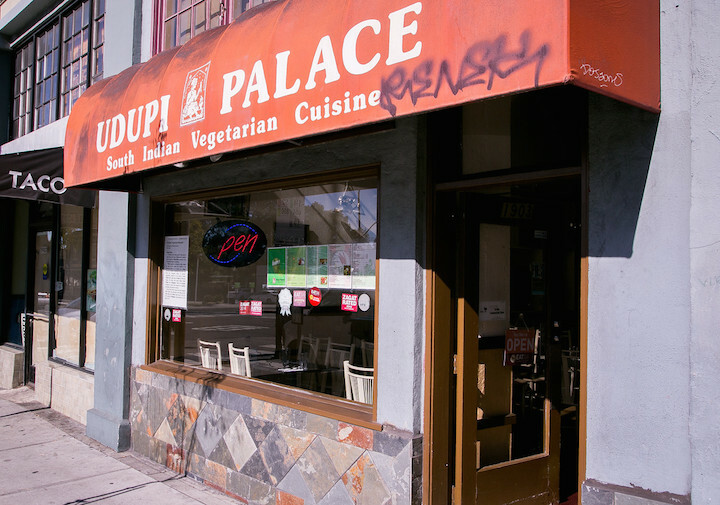 Naiipaul’s A House for Mr. Biswas. 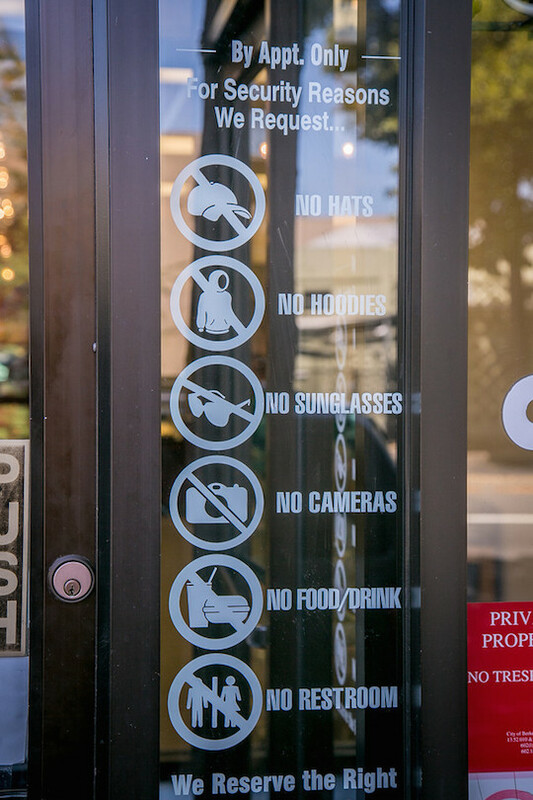 There are more signs, to follow, but I wanted to put this out there now. 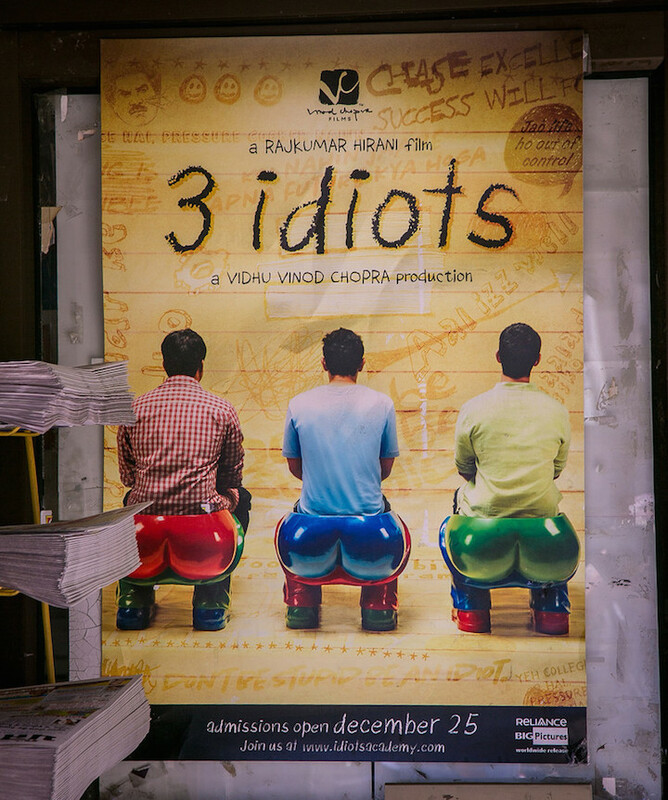 I showed the photos to my friend, who is a big fan of Bollywood. 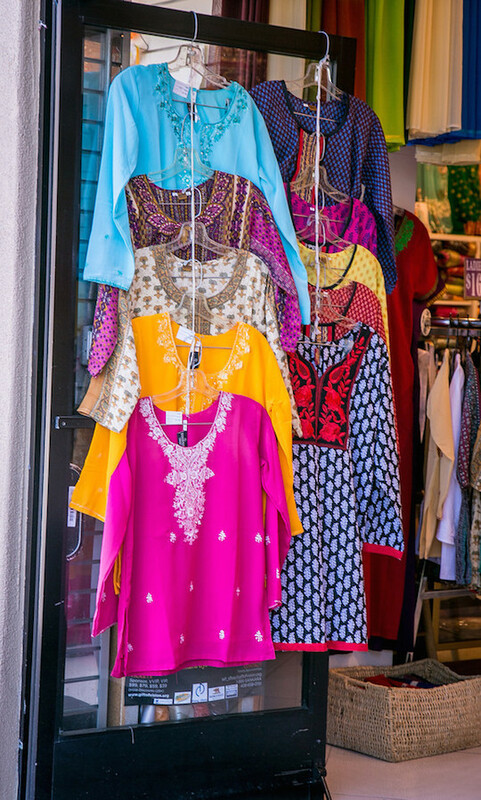 “You know how you and your friends go out on Saturday mornings and walk around taking pictures?” I am not sure where this is going but I play along – yes, I know. 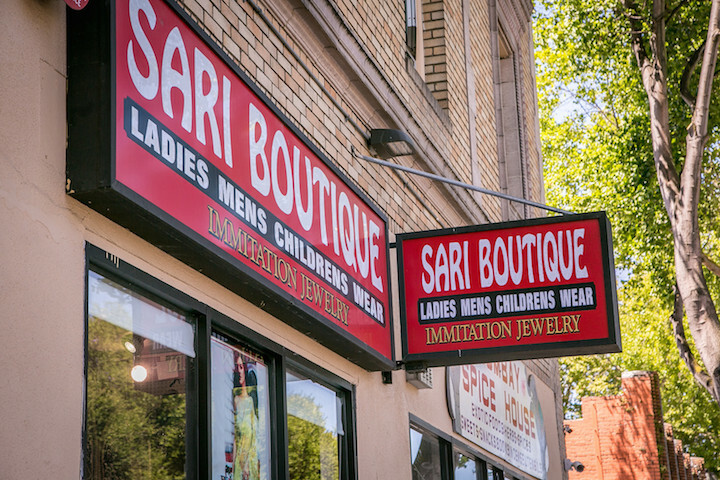 “Well, I just saw a movie last night that I rented on 9th Street.” Whether I want to see the movie or not, I know that I am going to.